The new Steve Jobs film is not going to feature the typical Silicon Valley look we’ve grown accustomed to, with the Mark Zuckerberg basics like a gray t-shirt or the button up shirt and hoodie combo seen in Mike Judge’s HBO hit series. No, Steve Jobs will be taking it back to the dawn of the Apple era in the 1980s and 1990s, and for the film to set up in this time period, they need extras with lots of hair that can pull off those funky ‘80s hairstyles. "Production’s strongest need is for Men 18-40s with flexible schedules and comb-able length hair and/or men willing to grow their hair, facial hair, sideburns to match 80s-90s time periods. Women should have natural hair colors, no chunky highlights or ultra modern styles. Overall for men and women, curls, waves and volume are a plus. Production will provide haircuts as needed." Sounds like production is taking the time setting very seriously, and wants to portray it as historically accurate as possible. I mean to be that specific with something as simple as hair means that the film is going to be a total flashback. And ‘80s hair was the best. When I think of ‘80s hair, pretty much every Molly Ringwald movie comes to mind. She always rocked the short-but-voluminous red hair, but her supporting actors all rocked some incredible dos too. 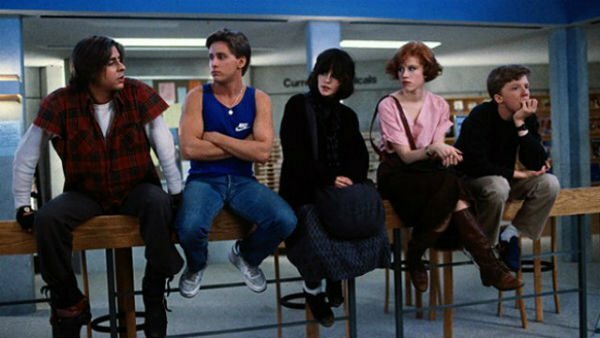 There’s The Breakfast Club crew, who all had thick and beautiful mops on their heads. Or Ducky’s absolutely incredible pompadour-inspired hairstyle in Pretty in Pink. And of course, Jake Ryan’s shiny black, gently moussed hair that looked as if it was styled by the gods in Sixteen Candles. If you are rocking any of these hairstyles, 30 years after they were in style, there’s finally a reason they are acceptable. Or if not, and you have been blessed with thick, voluptuous hair, it can be easily styled into one of these funky old-school hairdos. So if either of these apply, then you could be the perfect fit for an ‘80s extra. The new film will be directed by Danny Boyle and star Michael Fassbender. Katherine Waterston and Seth Rogen are also on board for the project, and it will be based on Walter Isaacson’s biography, Steve Jobs. Look out for more information on production and scheduled release dates.